What Does Freud Say About SOTOY? Sotoy, is Indonesian slang for those who feel more understand about a situation, knowledge or problem than anybody else, but actually they don’t know anything. Only a lip service, or bluffing to show others they know something. Poor people, instead of admiration, in the end they’ll get harrasment because they showed their (poor) level. Actually, it’s not nice to classify people into the clever one, and the dumber one. Because people can not understand everything. For example, in some parts, I will be the dumber. I still learn about basic physics, I still admire how telephone works, and I still interest to make a good fiction. Buuut, I try when I’m in the middle of learning process, I will keep my mouth shout, because I’m not expert on it. So, if I said something, it will be a detraction for my ability. Silent is gold. Who can be included to the sotoy group? They, who don’t know what the existing real condition, but already judged people by their perspective, who already blind by the popularity, anxiety and boast. They didn’t do the check and recheck thing, it’s very easy to make them on fire. Ugh OK, maybe they’ll be exist only if there’s a conflict . And it’ll show their level too, the root people, who can not think big and tall, see from the helicopter’s view, but maybe they just see from ant’s view. 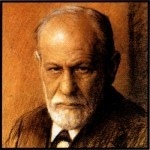 So, if I asked Sigmund Freud about this sotoy thing, what will he say ya? Sigmund Freud (1856 – 1939) was an Austrian neurologist who concern to expand psychoanalysis theory about human personal structure, abnormality and he also popularized psychology theory about anxiety and how to defend. The unrecognized motivation, memory, fears, inner conflict and desperate are the important aspects of the personality. Those symptoms will relate with unconscious mind, and it will become a personality disorder. Freud classify them into 3 groups, i.e Super Ego, Ego and Id. Super Ego will be our conscience, to show what is right and what is wrong, and it’s influenced by the culture. Id is the completely unconscious, impulsive, childlike portion, and it seeks immediate pleasure and gratification. The aggresive actions could be like fighting, attacking and bullying. Ego will try to solve the conflict by various defense mechanism, including denial, repression, and displacement. People who have full functions utilization, will be open to the existential, trust to others, have free will and can make creations. They will have good response in their intelectual, emotional and sensoric, to the people, things, events in the world, and also have self confidence. So they will look anything in the bright side, the positive one. They will adopt to the new situation easily, and flexible to face the problem. Back to the sotoy thing, based on Freud analytics, I think Freud will say they are poor people who can not control their anxiety about something, forced them to bully other people, show to the world with their bluffing, and still don’t feel satisfied with the result. Because their heart are greedy, always expect more and more to press other people down. For those who don’t do that, in fact getting along with the sotoy people, try not to pay attetion to them. Ignorance, is the best way to show they are nothing, and don’t waste our time with their fool actions and statements. I think sotoy is influenced by poor self confident. Sotoy is someone who wants to give a good impression to another. He acts as if he knows everything to cover his bad habits. Unfortunately, ke doesn’t know that people don’t respect with his behavior. Yeah, and all we have to do while in this process is…be patience.